1Not available with special finance or lease offers. Take delivery by 04-30-2019. 2Must qualify through GM Financial. Not available with special finance, lease, or some other offers. Take delivery by 04-30-2019. See dealer for details. 3Conquest % Cash Back. Stackable % Cash Back for customers who have owned or leased a 2005 or newer Non-GM Vehicle for a minimum of 30 days. Allowance Available on Retail Programinfo. Compatible with % Off and Conquest Priviate Offer ONLY. 4Special pricing for GM Employees. Restrictions apply. See dealer for details. 5Excludes L models. Monthly payment is $13.89 for every $1,000 you finance. Example down payment: 3.4%. Must finance with GM Financial. Some customers may not qualify. Not available with lease and some other offers. Take new retail delivery by 4/30/2019. See dealer for details. 1Not available with special financing, lease and some other offers. See dealer for details. 2Not available with special financing, lease and some other offers. See dealer for details. 3Conquest % Cash Back. Stackable % Cash Back for customers who have owned or leased a 2005 or newer Non-GM Vehicle for a minimum of 30 days. Allowance Available on Retail Programinfo. Compatible with % Off and Conquest Priviate Offer ONLY. 4Special pricing for GM Employees. Restrictions apply. See dealer for details. 5Excludes L models. Monthly payment is $13.89 for every $1,000 you finance. Example down payment: 3.4%. Must finance with GM Financial. Some customers may not qualify. Not available with lease and some other offers. Take new retail delivery by 4/30/2019. See dealer for details. 1Conquest % Cash Back. Stackable % Cash Back for customers who have owned or leased a 2005 or newer Non-GM Vehicle for a minimum of 30 days. Allowance Available on Retail Programinfo. Compatible with % Off and % Conquest Private Offer ONLY 2Not available with special finance or lease offers. Take delivery by 04-30-2019. 3Must qualify through GM Financial. Not available with special finance, lease, or some other offers. Take delivery by 04-30-2019. See dealer for details. 4Special pricing for GM Employees. Restrictions apply. See dealer for details. 5Excludes L models. Monthly payment is $13.89 for every $1,000 you finance. Example down payment: 3.4%. Must finance with GM Financial. Some customers may not qualify. Not available with lease and some other offers. Take new retail delivery by 4/30/2019. See dealer for details. 1Not available with special financing, lease and some other offers. See dealer for details. 2Conquest % Cash Back. Stackable % Cash Back for customers who have owned or leased a 2005 or newer Non-GM Vehicle for a minimum of 30 days. Allowance Available on Retail Programinfo. Compatible with % Off and % Conquest Private Offer ONLY 3Not available with special financing, lease and some other offers. See dealer for details. 4Special pricing for GM Employees. Restrictions apply. See dealer for details. 5Excludes L models. Monthly payment is $13.89 for every $1,000 you finance. Example down payment: 3.4%. Must finance with GM Financial. Some customers may not qualify. Not available with lease and some other offers. Take new retail delivery by 4/30/2019. See dealer for details. 1Not available with special financing, lease and some other offers. See dealer for details. 2Conquest % Cash Back. Stackable % Cash Back for customers who have owned or leased a 2005 or newer Non-GM Vehicle for a minimum of 30 days. Allowance Available on Retail Programinfo. Compatible with % Off and % Conquest Private Offer ONLY 3Not available with special financing, lease and some other offers. See dealer for details. 4Must qualify through GM Financial. Not available with special finance, lease, or some other offers. Take delivery by 04-30-2019. See dealer for details. 5Special pricing for GM Employees. Restrictions apply. See dealer for details. 6Excludes L models. Monthly payment is $13.89 for every $1,000 you finance. Example down payment: 3.4%. Must finance with GM Financial. Some customers may not qualify. Not available with lease and some other offers. Take new retail delivery by 4/30/2019. See dealer for details. From a range of cars available in the market, the new Chevrolet Cruze, Lewes customers, stands out as it checks off all the top requirements that forms a great compact car. The roomy trunk and spacious cabin space provide a comfortable ride to not only drivers, but also their passengers commuting along. With a range of available infotainment options, you’re sure to have a gleeful ride. 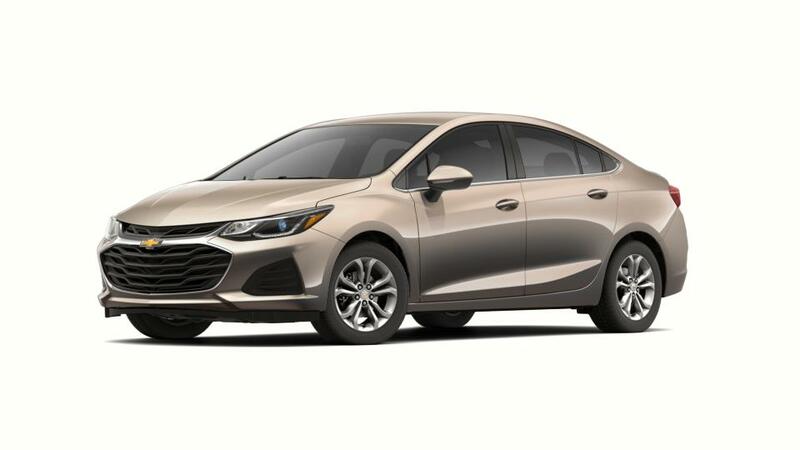 The new Chevrolet Cruze, Lewes shoppers, is a well-made, practical and fuel efficient for drivers looking for a mix of comfort and performance all tied in a compact car. View our range of new vehicles or contact us for further details.